Patricia Hastings is a Faculty Associate in the SJMC, specializing in video journalism. She is responsible for overseeing the Badger Report; a student produced streamed newscast and Web site. She also teaches Long Form Video Journalism, Video for Strategic Communication and Intermediate Reporting. She integrates new media elements within these courses and students produce multi media Web sites and stories that often win state student reporting competitions. As advisor to the Public Relations Student Society of America, she works with a very large and dedicated group of students. In the past, she has supervised student entries into the PRSSA Bateman Competition. She also serves on the Constituent Relations Committee and in the past has served on the Undergraduate Admissions Committee. Prior to joining SJMC, Hastings worked in radio and television news in Pittsburgh, Indianapolis and Milwaukee and Green Bay, to name a few. She has extensive radio and television news reporting and producing experience. She also owned her own media consulting firm and is listed with producer credits in the Internet Movie Database (IMBd) for work producing independent films. She is the President of the Associated Press Wisconsin Broadcasters Association and serves on the Wisconsin Broadcasters Association Education Committee. 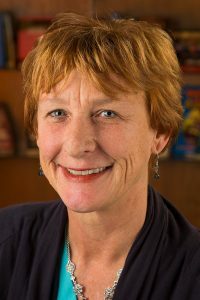 Hastings received her BA in Journalism from the University of Wisconsin-Eau Claire, and her MA at the University of Wisconsin-Madison’s School of Journalism and Mass Communication. Although she worked as a reporter and producer in several markets, Hastings finds working with students to be most gratifying. When she is not working in the reporting labs, Hastings can be found bicycling or watching The Milwaukee Brewers.